Developed by Shwe Taung Group in collaboration with the Yangon City Development Committee, Junction City is an integrated development located at the junction of Bogyoke Aung San Road and Shwedagon Pagoda Road. 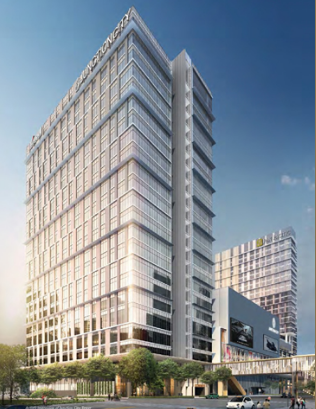 Junction City has Singapore’s Keppel Land, Pan Pacific Hotels Group and New Asia Investments as joint venture partners in the office tower, hotel, retail and serviced residences components respectively. A pioneer in sustainable development, Junction City utilises environmentally -friendly materials and features such as water-efficient and energy-efficient technologies to meet the stringent Green Mark standards by the Building and Construction Authority of Singapore.